﻿ St Simons Island Real Estate: How Much Does a Home Cost? St Simons Island Real Estate: How Much Does a Home Cost? A March 2013 St Simons Island real estate market snapshot. How Does St Simons Island Real Estate Compare to the National Average? According to Zillow homes in the 31522 zip code have higher market values compared to the national average. St Simons Island real estate had a median home value of $307,900 compared to $158,100Â nationally. More interesting is the percentage of properties in this area that have declined in value is much lower than the national average. 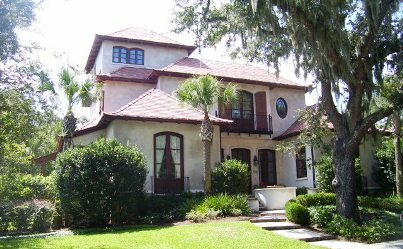 Real estate on St Simons Island has a median sales price of $305,600 consisting of residential homes, condos and townhomes. Over 20% of properties have 1800 to 2400 square footage, with a median value per square foot of $201. Property is selling and both buyers and sellers enjoy the lifestyle this Coastal GA community offers, as well as a strong real estate market. Contact DeLoach Sotheby’s International Realty to learn more about buying or selling today.